Doyle found his furrever home. | The Kitten's Cradle, Ltd.
Doyle found his furrever home. 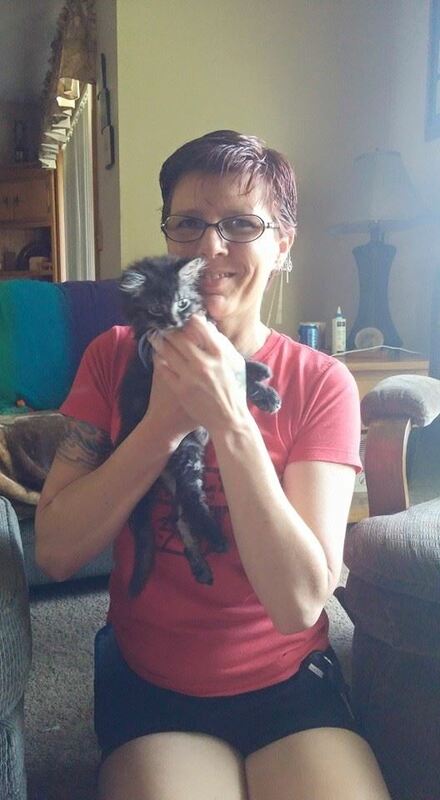 Doyle got his long awaited first cuddle with his forever Momma and will be going home Saturday. Congrats little man and Lisa! (and of coarse former TKC kitty Brandi who we know will love her new little brother). Follow the Facebook Post Here. This entry was posted in Adoptions, News. Bookmark the permalink.